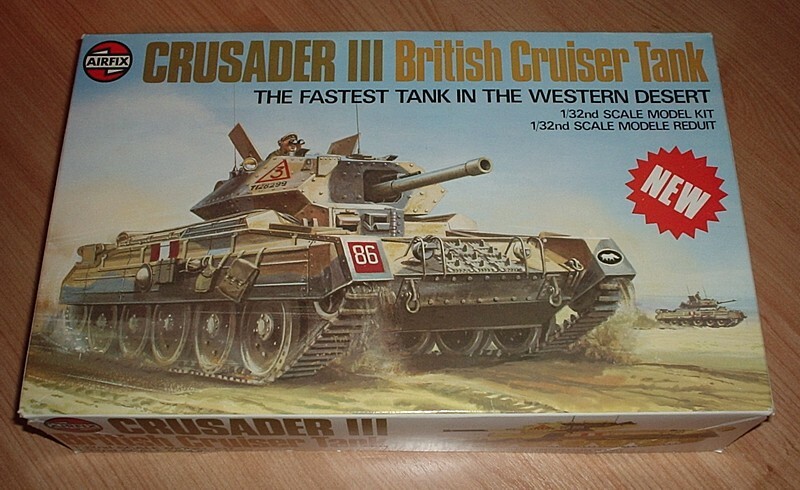 Famous for its skirmishing and advanced reconnaissance roles in the North African campaigns of the Second World War, the Crusader III cruiser tank heralds the start of a new series of 1/32nd scale armoured fighting vehicle construction kits. More than 170 parts are included and produce a highly detailed finished model. Operating features include a revolving turret and an elevating gun. Two sets of markings are supplied with some additional items to model any of a number of Crusaders of the period.